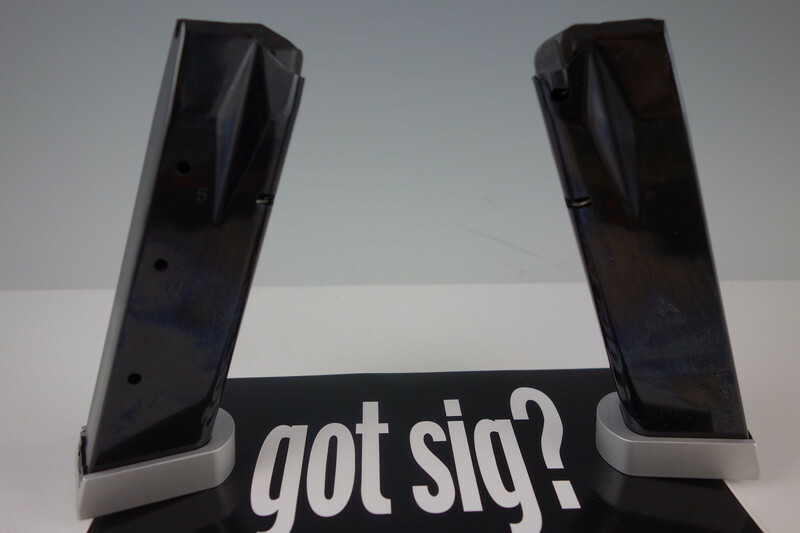 I am offering ONE brand new factory 9mm Sig Sauer X-5, X-6 19rd magazine for sale.These magazines are manufactured by MegGar for Sig Sauer. Note, though they are stamped 17rds, the extended base plate increases the round count up to 19. MEGGAR Part # MG-SP226-17 NO LONGER AVAILABLE FROM SIG-SAUER! NOTE: Please be certain that the high capacity 19 magazine is legal in your city and state before purchasing. I do not accept returns. PRICE: $159.00 EACH including USPS Priority Mail shipping. PAYMENT: USPS Money Order, Bank Cashiers check or the following Credit Cards: Discover, MasterCard or Visa. NOTE: There is a 3% CC surcharge if you choose to use a credit card. SHIPPING: FREE USPS Priority Mail with tracking.